Nintendo fanatics are already well familiar with the NES, the Game Cube, the Nintendo 64, and a whole slew of other much-loved consoles. But no Nintendo collection is truly complete without the iQue Player. Never heard of it? That’s probably because it was only released in mainland China as a way of dodging that country’s attempted ban on video games in the early 2000s. 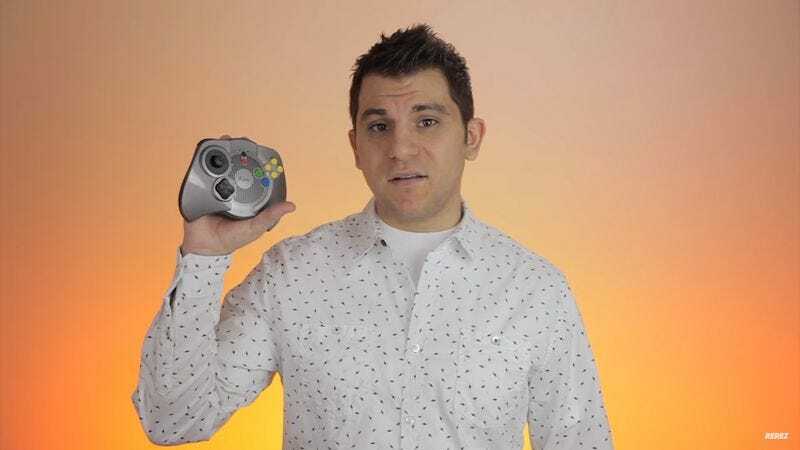 Gaming historian Shane Luis gives retro gaming fans a proper introduction to the elusive iQue Player in a new video on his YouTube channel, Rerez. According to the video, China was effectively trying to legislate video games out of existence at the beginning of the current millennium. Nintendo’s solution was to release a plug-and-play console through its China-only subsidiary company, iQue. Debuting in 2003, he iQue Player was promoted as a video game player rather than a console. The differences between player and console are subtle but, from a legal standpoint, important. The iQue Player had no place for cartridges, nor did it even have multiple ports for controllers. What set the device apart were its limitations. It could only play a handful of Nintendo games, including Super Mario 64 and The Legend Of Zelda: Ocarina Of Time. According to Luis, the iQue Player offers a very decent gaming experience, and its controller even represents an improvement over what Nintendo was offering the rest of the world at the time. This device’s version of Ocarina Of Time is very much like the game that Nintendo fans already know and love; it’s just in Chinese and has slightly quicker loading times. Getting new games for the iQue Player was something of a strange ordeal, however. Gamers were supposed to take a memory card to a kiosk at a gas station and download additional titles from there. Alternately, games were made available through the iQue Player website, which hasn’t been updated since 2006. A total of 14 games were made available for this system. Since China finally lifted its ban on video game consoles in 2015, it is unlikely that anything like the iQue Player will ever be made again.